Southwest Youth and Family Services was first founded as the Southwest Youth Service Bureau Policy Board in 1979, as part of a citywide program to provide neighborhood-based diversion services in West Seattle and White Center. We were incorporated on September 9, 1980. As the program offerings changed, the community came to know us as the Bureau. Our mission became serving all low-income youth in the neighborhood. We developed a number of innovative youth-run employment programs. We remained primarily employment-based until 1985 when we expanded programs to provide education and individual and family counseling services. Our Education Program was created in cooperation with the Interagency Transition School and initially served Seattle Public School students. Our Education Center Program, designed to serve drop-out students, started in 1986. We became a United Way member agency in 1986. Our Counseling Program expanded in 1987 to include two in-house counselors and one drop-out prevention counselor at Madison Middle School. The program’s focus shifted to include both young people and their families. In 1988, the Drop-Out Program was expanded to Denny Middle School. The number of full-time in-house counseling staff also increased. In February 1998, we were granted State Community Mental Health Organization licensure. In 1989, the Education Clinic in High Point was launched, and we started work as part of the Seattle Team for Youth gang-intervention project. In recognition of our changing mission to serve both youth and families, we formally changed our name to Southwest Youth and Family Services in the spring of 1990. With the passage of the Families and Education Levy in 1991, SWYFS expanded dramatically. In 1992, three new programs serving hundreds of youth and families were added, and SWYFS doubled in size. We opened the Southwest Family Center, one of the three original family centers in Seattle, which worked in collaboration with other organizations to offer programs designed to strengthen and encourage positive community and family support systems. Parenting programs, community celebrations, English as a Second Language (ESL) classes, education opportunities of all kinds, and Family Nights for youth and parents evolved out of our participant-driven process. 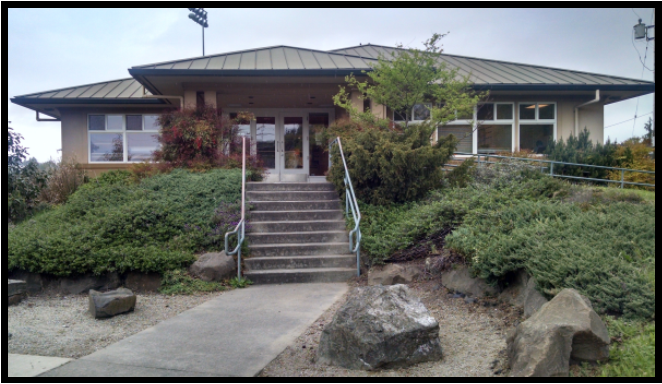 In 1996, after completing a $1.2 million Capital Campaign and subsequent building construction, we moved into our current facility on Delridge Way. The Iraqi Community Center became part of SWYFS in 2001. This expanded immigrant and refugee advocacy and support to speakers of Arabic, Cambodian, English, Spanish and Somali. In 2003, The Bill and Melinda Gates Foundation awarded the SW Family Center grant of $225,000 over three years to support and expand work with immigrant and refugee communities. In 2006, SWYFS was chosen as one of three organizations in Seattle to offer the Parent Child Home Program (PCHP), an early learning home visiting literacy program serving very low income two and three-year-old children and their parent or caregiver. In 2009, our violence prevention case management programs expanded to serve youth in South King County. In April 2013, SWYFS merged with New Futures, expanding our service area to include SeaTac and Burien, and later established another site for New Futures in White Center. In 2015, King County youth violence prevention case managers also moved into the White Center office space, further solidifying our presence in White Center. In 2016, we opened a new Education Center classroom in White Center, near the administrative and case management office. SWYFS currently has a staff of 80 who partner with youth and families to transform their futures. We are actively planning to continue expanding our services across the area in the months and years to come.